It is an oldie...but by request I am uploading her for anyone who wants her. She's great. Thanks for uploading her here! EdgeVerse (10 years ago) Inappropriate? Thank you, Sixus1!! I have been a fan of your products for a long time. We sold our Grey Alien line and it is being sold now by Smith Micro at Content Paradise.com. 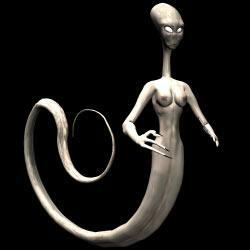 The grey alien is included in Poser 7 if I am not mistaken. alt1701 (11 years ago) Inappropriate?